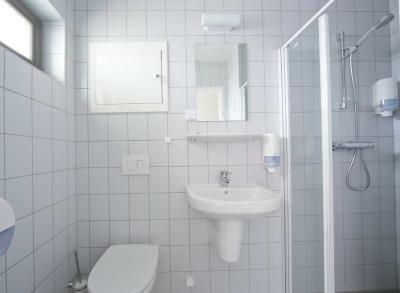 Lock in a great price for Oslo Vandrerhjem Haraldsheim – rated 8 by recent guests! Although located slightly outside of Oslo, you may purchase a metro pass at the front desk and by walking down the bike path within minutes you'll be in the heart of Oslo. The staff is friendly and resourceful. I recommend this hostel to you if you're either a solo traveler or group of friends traveling around Europe or just Norway. Helpful staff. Clean. Playstation room. Close to the bus stop which goes to Oslo airport. 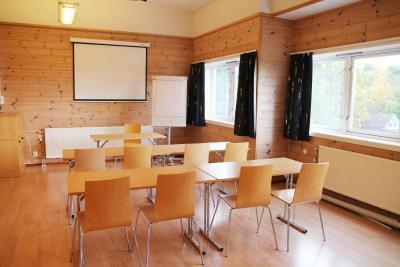 The staff was very kind and helpful, hostel had all the necessary facilities. It was very clean, had a few common space areas. There was a nice outside area as well, which would be cool in summers, I think. Everything was clean and tidy. Served breakfest was good as well. I would definitely recommend this hostel. Nice and clean hostel. People in the reception was really helpful. They have a well equiped kitchen for the guests. Breakfast was perfect for the price. Great, safe and quiet place to stay in Oslo. Easy access from the city center (30 mins by metro). We enjoyed the access to the kitchen, and free breakfast. Staff was friendly and check-in was made easy by the 24h reception. We were 5ppl so we booked one 4ppl room and one person in a dorm. But the host changed us to a 6ppl room with jo charge at all! Although it is not that close to the central station(I mean it is not a distance to walk, you can get there in 20-25mins on tram or train), perfect location in a quiet neighborhood. We loved it. The Hostel Haraldsheim was clean, the staff was friendly, and it was inexpensive. The free breakfast is only OK - very bread heavy, especially since most places in Oslo will include breakfast that's of higher quality. I'm sure the scenery was beautiful in the 1950s when this place was founded, but in late September 2018, it's on a hill looking out over an expressway that is far from everything else in Oslo. Although it's far from the center, the location is great to relax and enjoy a peaceful stay. Three breakfast was good. For this price, it's a really nice place to stay. 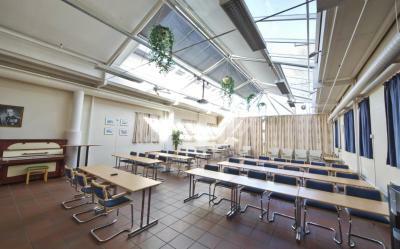 Surrounded by the greenery of Oslo’s Grefsen neighborhood, this hostel is 2.5 mi from the city center. It offers access to a fully equipped kitchen, garden with BBQ and free WiFi in public areas. 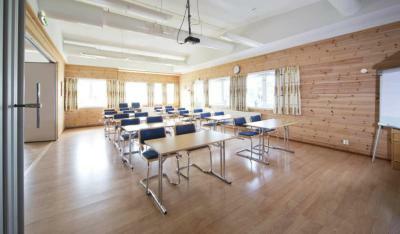 Each guest room at Oslo Vandrerhjem Haraldsheim features wooden floors, simple décor and a work desk. 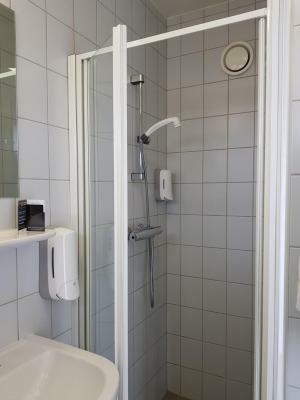 Guests can choose either private or shared bathroom facilities. The Norwegian Museum of Science, Technology and Medicine is a 6-minute drive from the hostel. Both Ullevål Stadium and Oslo Ski Center are 1.2 mi away. 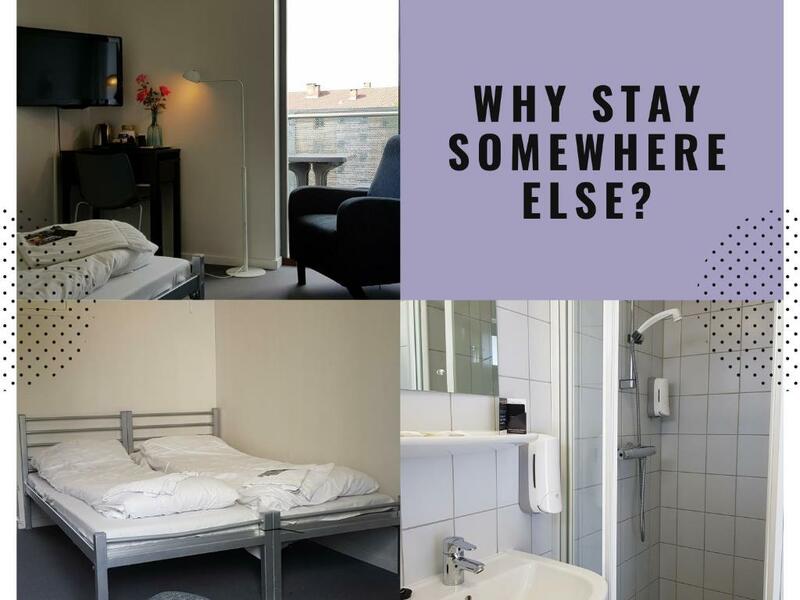 When would you like to stay at Oslo Vandrerhjem Haraldsheim? Simple room with a work desk and a private bathroom. 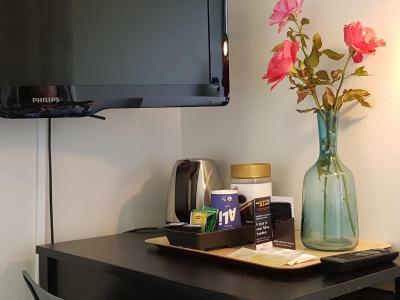 Simple room with a work desk and shared bathroom facilities. Haraldsheim is located 4 km from downtown Oslo, in safe and attractive surroundings with a splendid view of the city and the fjord. 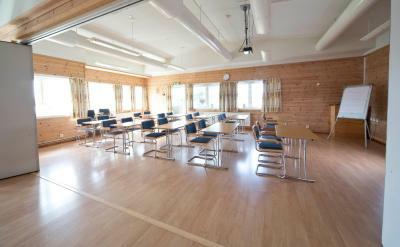 Haraldsheim Youth Hostel is an ideal starting point for seeing Oslo’s sights and for forest treks both summer and winter. We offer free parking for cars and buses. Haraldsheim is a non-profit property and proud part of Hostelling International. Our vision: We aim to promote intercultural exchange, social learning and care for the environment by making HI hostels the best, most welcoming and inspiring places for travellers to stay. 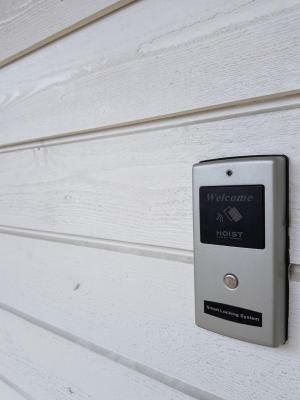 Use your HI Hostel membership card in Haraldsheim! House Rules Oslo Vandrerhjem Haraldsheim takes special requests – add in the next step! One child under 6 years is charged NOK 150 per night when using existing beds. All children under 6 years are charged NOK 150 per night for extra beds. 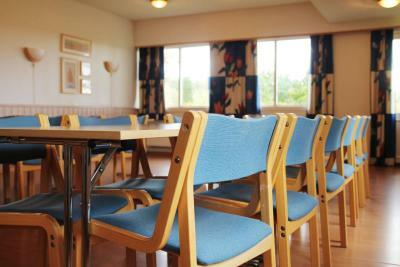 Any additional older children or adults are charged NOK 150 per night for extra beds. Oslo Vandrerhjem Haraldsheim accepts these cards and reserves the right to temporarily hold an amount prior to arrival. The location isn't that great, it is close to the tram though. The walls are also thin enough to be able to hear quite a lot of noise from the other rooms. There weren't any plugs near my bed. There was a sink in the room which was nice and the linen were clean and the breakfast delicious and varied. When I checked out in the morning at 24th of March, the staff asked “you must be a Chinese.” with a judging glance. I understand that there are some Asian stereotypes for those who are clueless, not intentional. However, assuming that someone with black hair and brown eyes with yellow skin is a Chinese is oriental, innapproperiate, and offensive in and of itself. I hope this does not happen again to other Asians using the hostel ever again. Greatly disappointed. A bit outside of town centre, about half hour with bus, but very nice neighbouring. 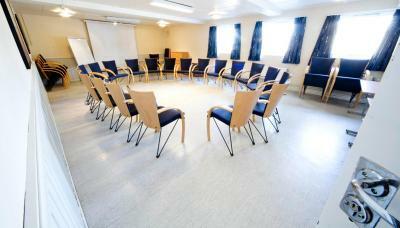 Clean place, very friendly staff and big room. 5km from the city center. No toiletries in showers. Hair dryer just in reception. The corridors smelled untidy and the bathrooms smelled like sewer. The rooms are very small and the bunk beds very close to each other. Very little free space on the floor as the room is filled with bunk beds and other furniture. The breakfast was very basic, yoghurt, cooked eggs, slices of bread with cheese and vegetables and coffee. Very few things to eat for people with lactose intolerance or gluten intolerance. Long walk from the bus and tram. The only little minus that I would say for that hostel is that it's located a bit out of the city center and it usually takes around 30-40 minutes to get there by bus/tram. Also it's actual location is a bit uphill and in winter with frozen roads it's a bit tricky to get there. Other thab that everything's just great! The breakfast choice was the best I’ve ever had in 35 years of travelling through hostels. Opening the room was very problematic. Door lock was very unresponsive. This hostel is a bit far from city center. it takes 20-30 min with public transport from central station.